It is no surprise that the track became their first “beyond 6 minutes” track allowing a long and subtle build-up full of catchy verses, chorus, bridges & breaks. A brilliant example of a “live feel” club monster. 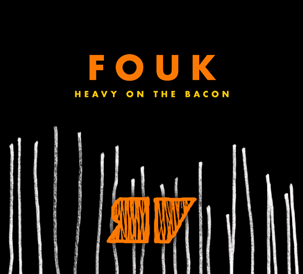 The second track of the single called Coconuts is a more classic Fouk moment, reminiscent of their recent smash hit Ep Kill Frenzy on Detroit Swindle’s Heist with spectacular welcome by critics & listeners alike. Their swing, tasty sampling techniques & love for Jazzy chords are all fuelling the beast and round up another timeless moment on the label.